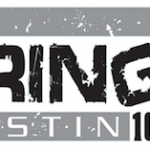 During the course of 2006, “The Buzz”, which had upgraded from suburban rimshot 96.7 to the 105.3 signal gradually caught up to and later surpassed heritage Modern Rocker 99X in the ratings. Meanwhile, sister Classic Rocker WKLS “96 Rock” lost its morning show following an incident with a show on sister station Viva 105.7 and battled competition from recent Classic Hits sign-on WSRV “97.1 The River”. Beginning a string that would see changes at all 5 Clear Channel owned FM’s in Atlanta, The Buzz format was moved to the stronger 96.1 frequency and evolved to Active Rock as “Project 9-6-1” in an attempt to revitalize the once heritage rocker. The 105.3 frequency simulcasted Project for a few weeks to move the listeners over and eventually flipped to Regional Mexican as “El Patron”. I loveed 105.3 as the buzz, but when it moved over to 96.1 I can no longer pick it up..I thought the move was suppose to get a larger coverage area….